Paprika’s deep, peppery aroma lends itself beautifully to meat, fish and vegetables. Here are ten of our favourite paprika-filled recipes, from some of the UK’s best chefs and food writers. Although it originated in Mexico, paprika has found its way into cuisines from all over the world. The spice – which is made by drying red bell peppers and grinding them up – has become a permanent fixture in the food of Spain, the sweet, aromatic dishes of North Africa, hearty eastern European stews and fragrant Indian curries (plus many more). 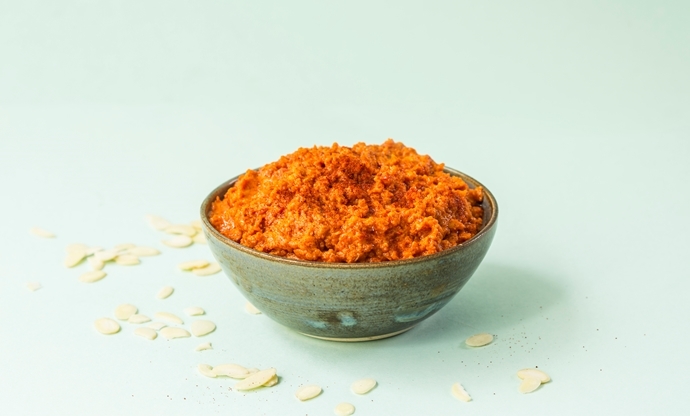 Paprika is not just paprika, though – a huge part of its versatility comes from the many forms it takes, including smoked paprika, which adds a beautiful kick of flavour to all sorts of dishes. It can be tempting to just sprinkle a bit of paprika over your food for a splash of colour, but knowing how to use it properly will make all the difference to your cooking. We’ve rounded up our favourite paprika recipes to provide some inspiration if you’re looking to make the most of your jar. 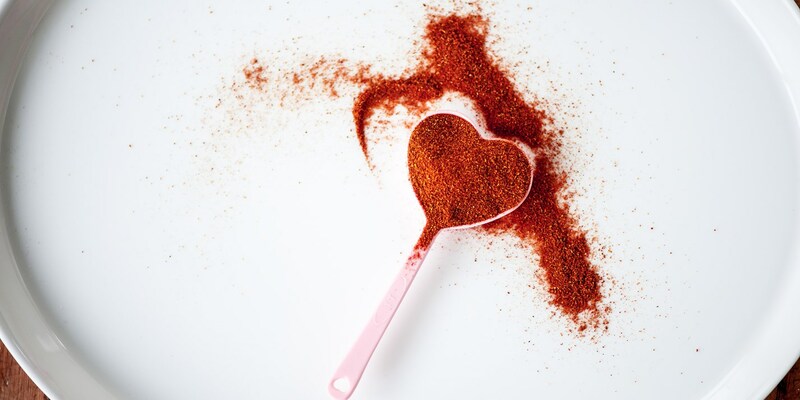 Using smoked paprika in cooking can feel a bit like cheating sometimes – it instantly adds a smoky warmth to whatever you stir it into or sprinkle it over. 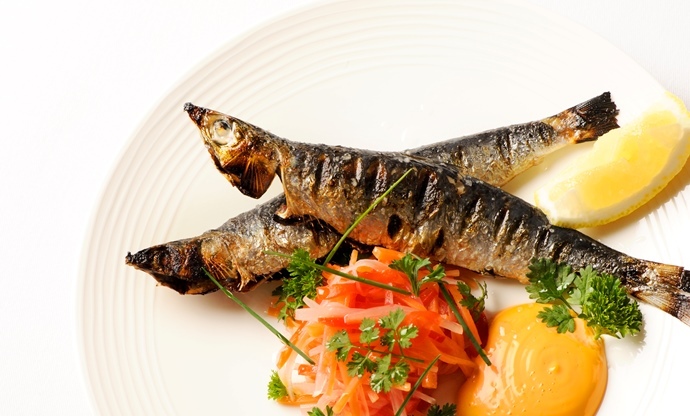 Nathan Outlaw uses it to add flavour to mayonnaise, which he serves alongside simply grilled sardines and a clump of pickled vegetables. The tangy pickles cut through the oily fish, while the paprika mayo brings everything together beautifully. One of the cornerstones of Catalan cuisine, Romesco sauce is rich, smoky and piquant. It’s traditionally served with calçots, a type of Spanish spring onion, but it works as a dip for all sorts of crudités and vegetables. A combination of almonds, sherry vinegar, paprika and garlic, the ingredients are blitzed together and emulsified with fruity olive oil. Try it with simple grilled fish for an authentic Catalan dinner. 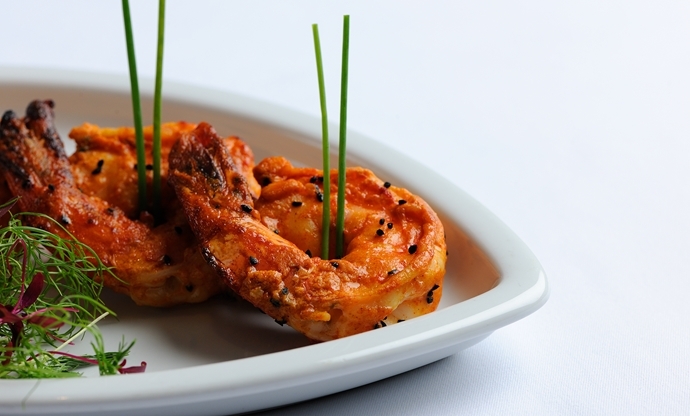 Tiger prawns are fat, juicy and sweet, and with the right marinade can be turned into a dish that needs no accompaniment. Give them an Indian twist with Alfred Prasad’s recipe for Kalonji Jhinga, a traditional starter that’s full of flavour. The prawns are given a quick marinade in Greek yoghurt flavoured with plenty of paprika, garlic and ginger, before being quickly grilled or barbecued until lightly charred. A one pot dish that’s bound to impress, this beef shin stew is given a Spanish-Mexican kick thanks to chorizo, chickpeas and a hefty tablespoon of smoked paprika. While it takes a good few hours to cook, this is a recipe ideal for cooking in big batches before transferring to the freezer, as this gives the ingredients time to develop in flavour. A hearty, satisfying dinner recipe for when the weather starts to turn cold. 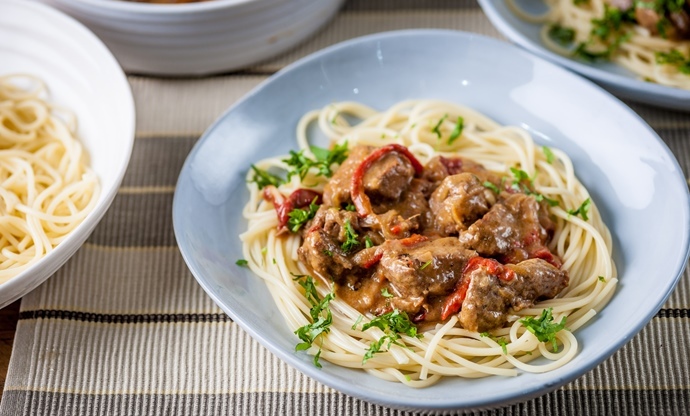 Goulash is Hungary’s national dish, and paprika plays a central role in the creamy beef stew. Here, Geoffrey Smeddle shares his simple version, choosing smoked paprika to flavour the sour cream sauce. The cream helps mellow the paprika to create a seriously comforting dish that’s perfect for dinner on a chilly evening. 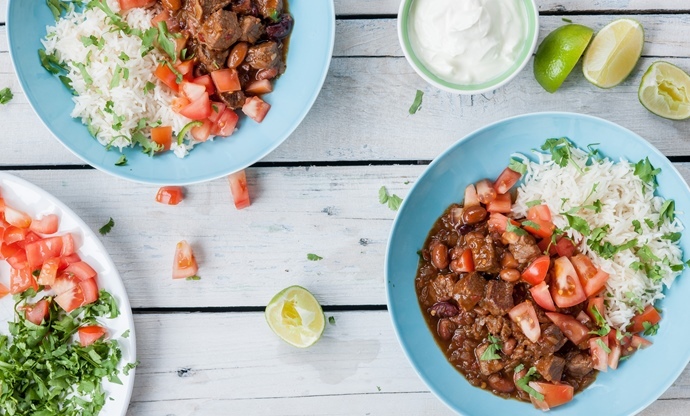 Chilli con carne is one of the great dishes that every cook has their own version of. 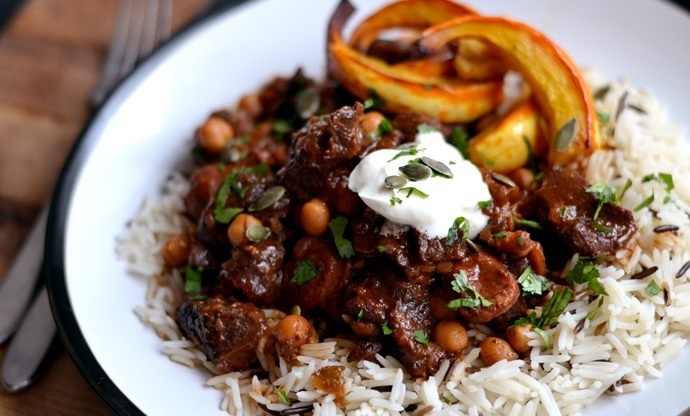 As long as you’ve got beef, chilli, cumin and beans, the rest of the ingredients are all up for debate. However, one spice we’d never think of omitting is smoked paprika, as it gives the whole dish a smoky element that’s perfect if you can’t cook it over a live fire, as tradition dictates. Matthew Tomkinson uses coffee rather than stock to create the base sauce for his take on chilli con carne, which adds a wonderful depth of flavour, too. Frying fish in a light dusting of flour is a tried and tested way of adding a crisp coating without creating a thick batter, and it’s one of the most popular ways to cook seafood in the Mediterranean. Tony Fleming goes one step further, however, by throwing hot smoked paprika, cayenne pepper and mustard powder into the mix. 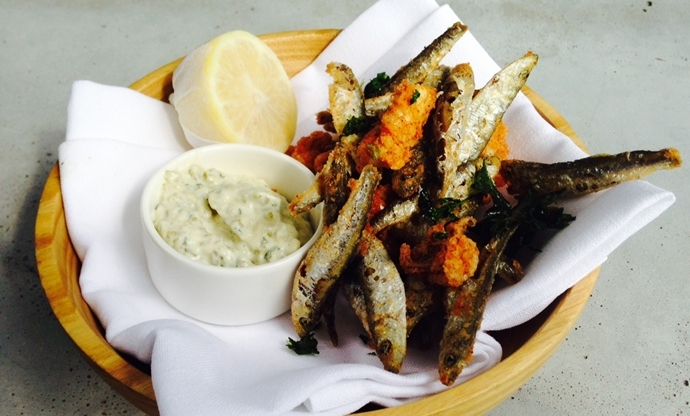 This adds a subtle yet distinctive flavour to his whitebait and squid, which when combined with the homemade tartare sauce, makes the perfect light lunch or starter. These little snacks are perfect to serve with drinks before a dinner party, and couldn’t be simpler to prepare. 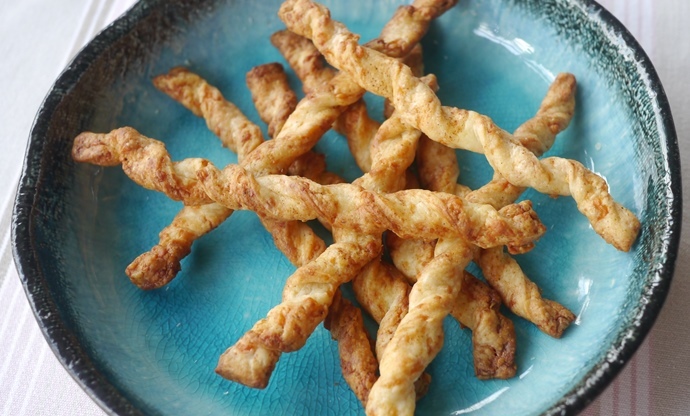 Puff pastry is flavoured with plenty of grated cheese and smoked paprika, which lends a sweet, smoky tone to the other rich, buttery flavours. Once they’re twisted into shape, they just need ten minutes in the oven before they’re ready to serve. Paprika has even made its way into the kitchens of South America, helping to add a subtle kick to its most famous dressing, chimichurri. 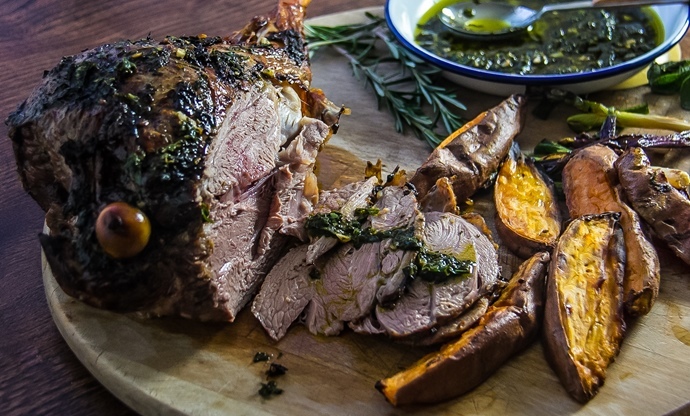 Combined with the tart vinegar, fruity oil and fresh, grassy herbs, it’s the perfect sauce to drizzle over slow-roasted lamb, cutting through the fatty, rich meat perfectly. The one thing that will transform any barbecue from good to great is giving whatever you’re planning to cook a good marinade, and more often than not paprika lends just the right flavour. 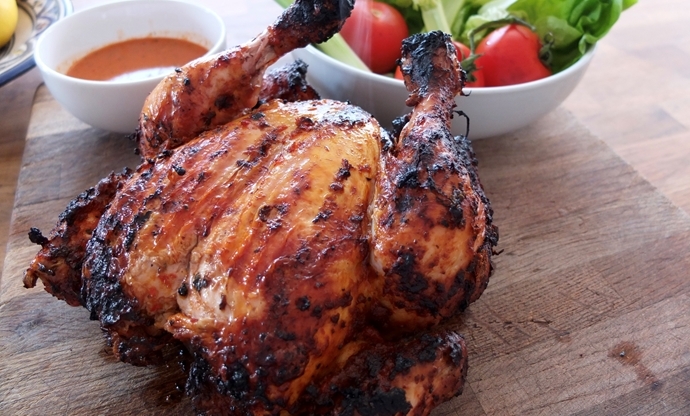 Chicken marries with paprika particularly well, and is one of the primary flavours in Helen Graves’ simple yet delicious whole chicken. Ditch the boring burgers and sausages and serve this up at your next barbecue – you won’t skip marinating your food ever again.